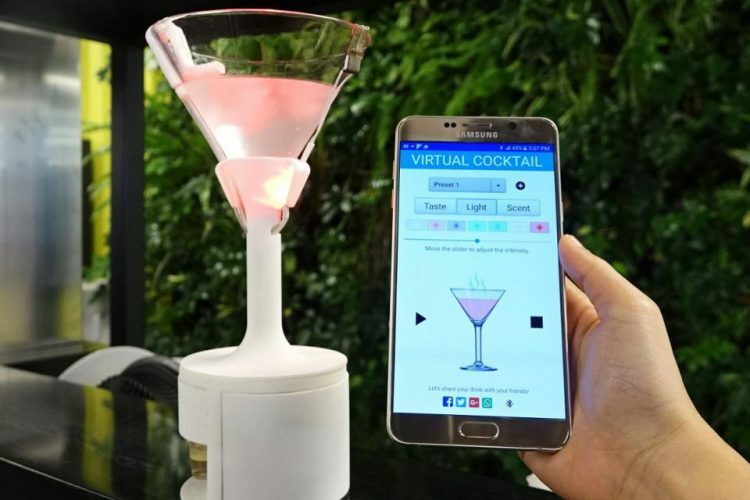 The Vocktail glass was developed by Nimesha Ranasinghe, a Research Fellow at National University of Singapore, and was recently showcased at the Association for Computing Machinery Multimedia Conference, in Mountain View, California. 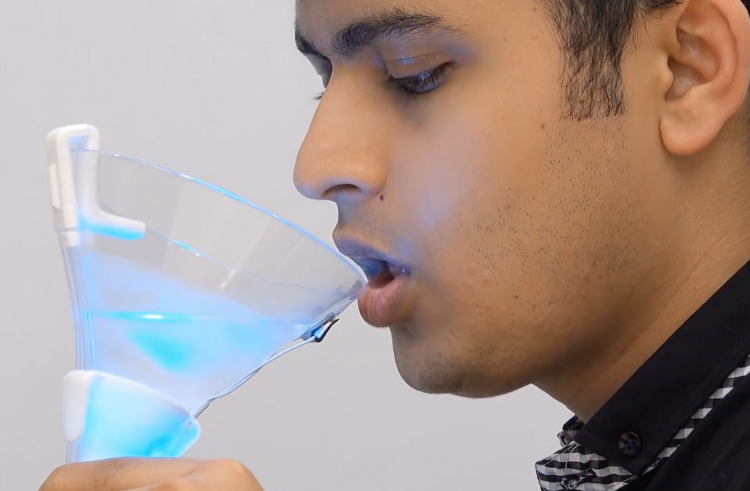 Ranasinghe, who specializes in digital multisensory interactions, had previously created a digital lemonade using electrodes and colors, but addingsmell stimulation to the mix has opened up a whole range of flavor combinations. He now plans to add a virtual reality component as well, allowing people to enjoy their virtual cocktails in various settings. The Vocktail Glass also comes with a companion smartphone app,which allows you to quickly change the color of the drink, as well as the microamps released by the electrodes, to alter how your tongue perceives the drink – 180 microamps for a sour taste, 40 microamps for a salty taste and 80 microamps for a bitter taste.